Originally published in Japan in 1996, Cardcaptor Sakura used the premise of young Sakura and her friends— Tomoyo, Syaoran, Cerberus, and more—as they sought to capture the magical Clow Cards which were wreaking havoc in their town. While the premise may sound a bit tired and worn, fans and readers of the original series know it was so much more that. In the skillful hands of Clamp, an all woman Japanese art group, Cardcaptor Sakura used a fairly straight forward magical girl premise to launch into an exploration of love and friendship in all their different flavors. 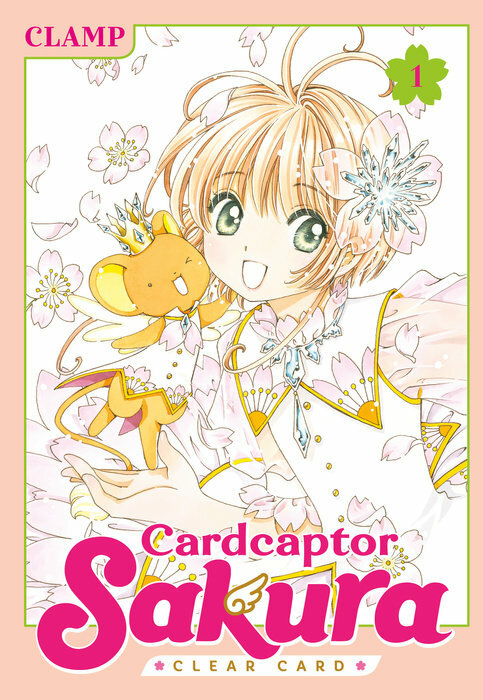 Now, two decades later, Clamp returns to continue the adventures of Sakura and company with Cardcaptor Sakura: Clear Card! Set shortly after the climax of the original series, Clear Card follows Sakura as she enters into a new phase of her life, middle school. With the Clow Cards under wraps, her life was slowly returning to normal, but Sakura’s hard earned peace doesn’t last for long and she soon finds herself faced with new two threats: the mysterious Clear Cards, and the hooded figure seemingly tied to their appearance. Creating a sequel for a series nearly two decades old may seem like an odd idea. While there is undoubtedly a nostalgia market for the series, there was inevitably a bevy of questions about the sequel. Could Clamp deliver a story interesting and worthy of the original? Would it aimed solely at those who grew up with the original series, or designed to appeal to the new generation of fans? Thankfully, Clamp does a nice job at assuaging any fears old fans may have had, while also presenting a story that should be easily accessible to new readers. A large part of this is due to both the series structure, and a handy four page introduction which recaps the events of the first series, which also acted as a primer for the relationships of the many characters. It makes sliding into Clear Card much easier than one might expect. Clamp’s decision to put the mystery into the background at first and instead focuses on the relationships, helps bring newcomers up to speed of the status quo, and establishes the emotional core which helps grounds the later supernatural elements. While this does a fantastic job at making it very easy to slide into Clear Card with little to no knowledge of the original Cardcaptor Sakura, it’s a choice that almost comes back to bite Clamp. The heavy focus on the characters and their relationships results in a distinct lack of action or momentum for the story; and the stakes are incredibly muddy and vague throughout much of the first two volumes. By the time the third volume rolls around, even with the a few encounters with the Clear Cards, the series begins to feel like a slightly aimless slice of life story. Clamps’s introduction of emotional stakes comes right in time to hold reader’s attention. While this lack of drama or tension may sound like a negative, Clamp uses it to turn Clear Card into the manga equivalent of a warm glass of milk. Everything about these three volumes feels like it’s tailored to engender feelings of warmth, comfort and familiarity. The emotional outbursts, declarations of love, and moments of unrestrained joy are devoid of conflict or tension. Everything the character’s do and say come off as incredibly genuine and earnest. Sakura and her friends are so incredibly supportive of each other, that it’s impossible to not break into a goofy grin and let slip a small, quiet, “Awww…” when they offer praise to one another. Such emotional moments are reinforced by Clamp’s gorgeous artwork with an array of techniques. Under their collective hand, panel borders dissolve, toning effects, cherry blossoms grow out of the gutters and frame declarations of true friendships, and more. These are all done quite a bit, perhaps a little too often, but it all works to emphasize the warm, earnest, fuzzy feelings that pepper Clear Card. None of this is new, and all of it was present in the original series, allowing for a visual and tonal continuity to be maintained despite the intervening decades of experience. This is most evident in all the old hits that make their return. Ornate and beautiful costumes for Sakura designed by Tomoyo? Check. Elaborate, beautiful magical invocations sequences? Check again! This strong adherence to the original formula that made the series a hit may seem like a mistake, but it only furthers the sense that warm glass of milk feeling. Ultimately, Cardcaptor Sakura: Clear Card, Vols. 1-3 hits the nostalgia buttons perfectly, and the result is a warm, friendly, and easy going read that is overwhelmingly positive. In a world where such naked emotional displays are sometimes chided or ridiculed, something this genuine and sincere is a surprisingly refreshing read. 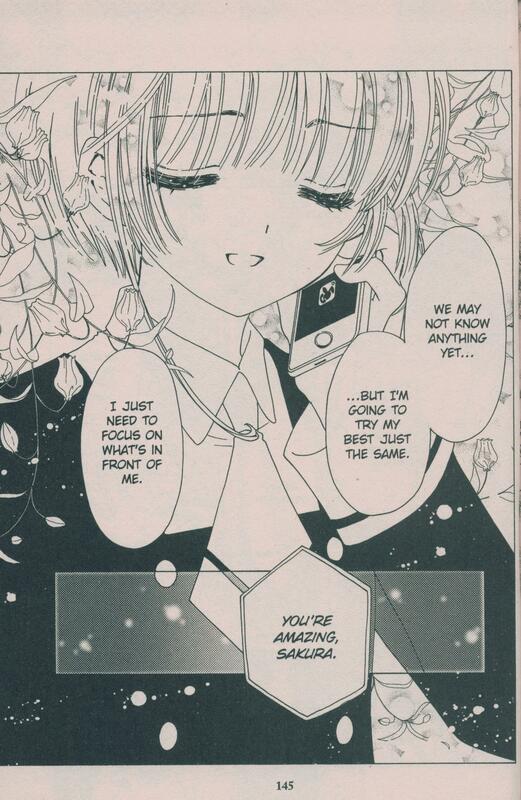 Cardcaptor Sakura: Clear Card, Vols. 1-3 are available now from Kodansha Comics. Review copies provided by the publisher.